As a Parragon Book Buddy I am LOVING finding out about their new picture books for children and this month's book is a cracker - Spot a Lot, Animal Escape by Steve Smallman and Nicola Slater. Spot a Lot is, on the face of it, a counting book. Each page details a number of animals who have escaped, starting at one and building up to 10 - for instance, 5 flamingos or 7 bats. In this sense it reminded me just a little of One Mole Digging a Hole! 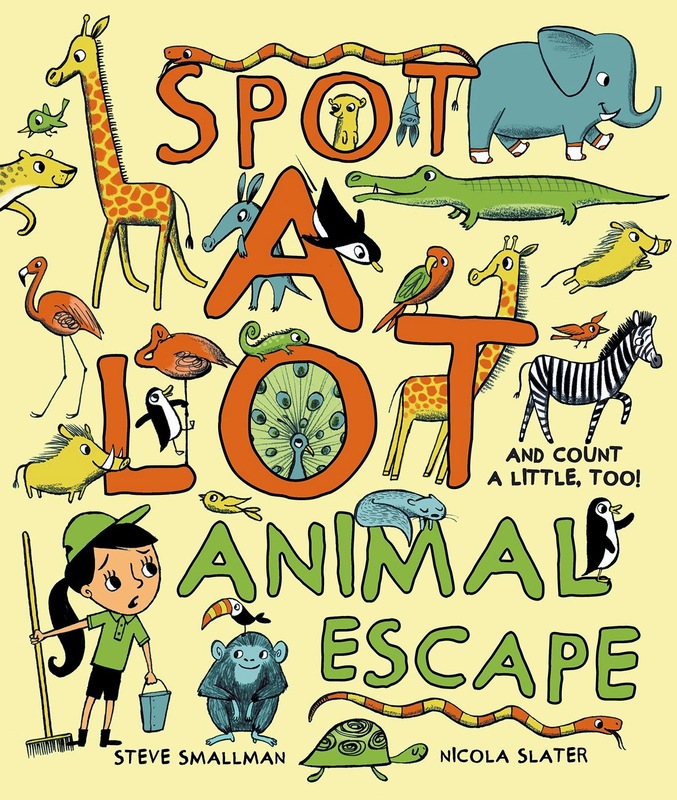 But Spot a Lot is so much more than just a count-to-ten book... it is also a puzzle book. A spotting book. A hunting book. You could spend hours with your children looking through this book trying to find all the tiny creatures that each page prompts you to find. On every page there are a series of challenges of things you have to spot in among the chaos of all the different animals. Lara and Holly both LOVE this kind of book even though Lara has a more or less photographic memory and will return to the book a week later and know EXACTLY where to find all of the creatures on all of the page.